Attacks rust only, nothing else. Will not affect your skin, clothing, plastics, wood, rubber, wiring, etc. 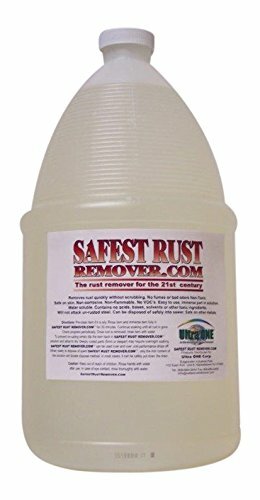 Is used as a dipping solution or as a recycling spray for rusted parts. Can be filtered and reused till spent. Is water based and safe for the environment when filtered.